The United States Small Business Administration exists as part of the U.S. Small Business Act of 1953. Congress implemented the Act as a way to “aid, counsel, assist and protect, insofar as is possible, the interests of small business concerns”. This is all according to the Small Business Administration (SBA) website. Through this legislation, the SBA was put in place to give budding small business owners and entrepreneurs access to government contracts and surplus property. This is in an effort to help these particular individuals and their businesses thrive and succeed while promoting a competitive industrial marketplace. The goal is stimulating and maintaining the economy of our nation. In the United States of America, it remains a dominant component in the world economy. It is also to compete in the global marketplace. Simply put, the SBA’s goal is putting America to work. The Small Business Association offers professional guidance and financial assistance toward getting small businesses off the ground. The Administration has a vast outreach program that extends across the country, as well as the United States owned territories Puerto Rico, the United States Virgin Islands, and Guam. By 1958, Congress went one step further in helping Americans realize their dreams of owning their own businesses. The Small Business Investment Act of 1958 offers actual investments through methods like Small Business Investment Companies (SBICs), Certified Development Companies, and loans. The Small Business Administration loan is a very smart option for anyone who is looking to get their business started, but does not have the financing to do it. The Small Business Association guarantees these loans. They offer help to the borrowers who can get access to this funding at manageable terms and rates. They are the most common forms of financial backing offered by the Small Business Association. However, there are a variety of alternative lending scenarios that might be better suited to your business and financial situation. As in anything that involves the government, getting one of these loans can prove difficult. There is a litany of rigid requirements and underwriting criteria that each applicant is subject to from the lending institution providing a Small Business Administration loan. The application process is also a challenge as some types of small businesses will not qualify. It could be months before you receive your funding. Consequently, the annual percentage rates are some of the best available from any participating bank. Therefore, any prospective business owners feel that the hassle and headache are worth it in the end. The banks issue small-business owners loans backed by the Small Business Administration. These loans are for any number of purposes related to the founding and the operation of certain types of small businesses. This sounds simple, but these types of backed loans can get very complicated. They come with a variety of limits, restrictions, and stipulations. In this section, we are going to break it down. It is also important to know that there are many different types of Small Business Administration loan arrangements. The Small Business Administration program has a maximum loan amount capped at $5 million. Therefore, the agency has very specific limits on the loans it guarantees. 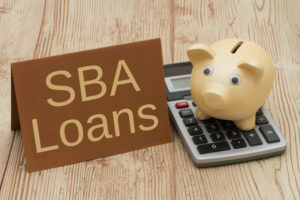 Under the current rules, the Small Business Administration can place guarantees on a maximum of 85% of loans at $150,000 or less, and 75% of loans higher than that amount. According to the Small Business Administration, the average loan came in at about $370,000 for most borrowers in the year 2015. Distributed money is for anything related to the business. Whether it is for expanding to a new or bigger location or hiring on more staff workers. The business may simply be looking to refinance a previous loan. An SBA-backed loan is often an especially attractive choice. This is because their interest rates and loan terms are much easier to navigate than alternative financing options. Determining the method by which your interest rate, when you enter a loan agreement for an SBA-backed loan, does get a bit confusing. Let us look at it piece-by-piece. The first thing to know is that the banks that are part of the Small Business Administration program are the entities that set the interest rate on your specific loan type. The final determination is as per the current prime rate combined with something called “the spread”. This is basically a markup rate added to the figure. The spread can change based on the length of your loan term. This is all according to existing Small Business Administration rules. As of November 2016, the current prime rate on bank loans is 3.50%. Therefore, if you are seeking a loan for an amount over $50,000, at a term of less than seven years, the rate would be made up of the 3.50% prime rate. 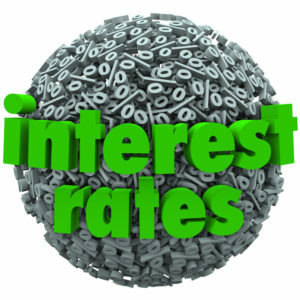 Additionally, there is a spread of 2.25% for an interest rate of 5.75%. For terms over seven years at that same loan amount, the spread would be capped at 2.75%. Your resulting interest rate would end up being 6.25%. 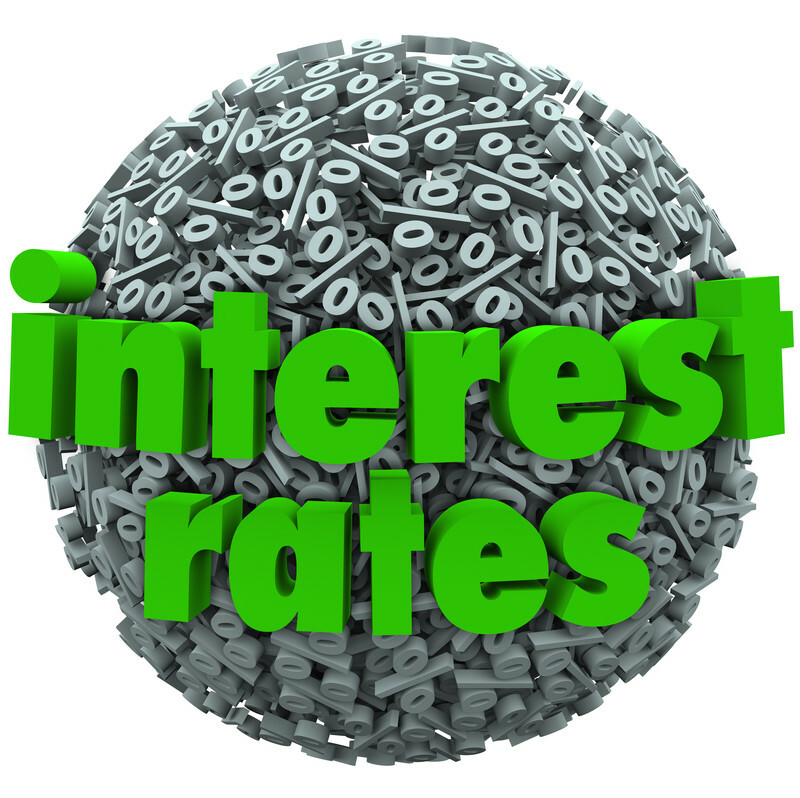 Some consumers confuse their Annual Percentage Rate (APR) with their interest rate. However, the two of them are quite different. Your Annual Percentage Rate takes the interest rates and incorporates the fees you would be paying on the loan in order to come up with an aggregate percentage. This is where you need to do some important comparison shopping. Banks and non-traditional lenders will offer competing rates on Small Business Administration loans. Participating lenders are offering Annual Percentage Rates as low as 6% and as high as 9%. This is a far cry from the bigger lenders who are touting Annual Percentage Rates on small business loans that are in the high double to low triple digits. Now you can see why many borrowers are willing to jump through so many hoops to access this funding through the Small Business Administration. The other component of Small Business Administration loans that many consumers really like are the extended terms for repayment. They give borrowers more time in order to pay back the financing. The amount of time you are given depends on your intended use for the amount you have borrowed. For those individuals who are using it to keep the lights on and the company running on a day-to-day basis, the repayment term is seven years. Using the funds to purchase new equipment gets you ten years to pay it all back. If buying real estate with the loan there is as much as twenty-five years to reimburse your lender. The goal in offering a lengthy term is to bring down the interest rate. It also keeps your monthly payments extremely affordable. In doing so, you can put your money toward building your business successfully, instead of devoting all of your income to paying back the lender. The Small Business Administration offers different loans for various purposes at fluctuating amounts. Although banks are the issuing institutions of the funds, these are different from typical bank loans. We will get to that in a moment. Hence, it is important to know what types of loans the Small Business Administration backs, and how they can help your business grow. The most popular of the Small Business Administration’s loan types is the 7(a). It is typically best for most small businesses seeking funds for a whole list of purposes. It is great whether the business is at the start-up stage or after becoming an established company. Most borrowers apply for financing through this method in order to obtain working capital for the company. Some businesses put it towards debt refinancing. Others use it to cover marketing and advertising costs or for the purchase of any new equipment. The money may also be applied toward hiring new employees or new building construction projects. This is in addition to multiple types of purchases including real estate, furniture, fixtures, and business acquisitions, among others. This is where things can get a bit tricky. The Small Business Association requires that you meet a lengthy list of eligibility and creditworthiness criteria in order to get approved for one of these loans. For starters, the business must qualify under the definition of a small business as per the Small Business Association guidelines. Per these rules, there are less than five hundred employees on the payroll, and the average annual revenue of the company, demonstrated over the previous three years, is below $7.5 million. Another factor is that their average net income is below $5 million. Federal taxes without carry-over losses determines this. Also, the company must prove a tangible net worth below $15 million, and the business resides and operates within the U.S.
An additional component is that average net income is below $5 million. This is after federal taxes, and without carry-over losses. Also, the company must prove a tangible net worth below $15 million. The business must exist, and be executed, within the U.S. They must prove that the funds are necessary. This is only after the borrowing individual has exhausted all other sources to get the financing they seek, including the small business owner’s personal assets. The borrower must also prove they neither have had defaults or bankruptcies in the past nor that they are delinquent on any debt obligations to the government. This includes items such as back taxes or unpaid student loans. As for creditworthiness, an applicant must have a credit score of 680 or higher. They cannot have recent bankruptcies, foreclosures, or tax liens on their record. Some form of collateral is not required; however, lenders are more willing to grant approval if the borrower is able to bring it to the table. This does not apply to loans below $25,000. A ten percent down payment is necessary if the money is going toward the purchase of commercial real estate, a business, or equipment. This type of Small Business Association loan helps small businesses get the necessary facilities required to conduct routine operations. The money is to buy or build these facilities, in addition to procuring the proper heavy equipment necessary. A CDC/SBA 504 is typically subsidized by bringing two different lenders to combine funding to finance the loan. This scenario typically includes a bank, credit union, or alternative lending resource. They come in for up to fifty percent of the financing. The Community Development Corporation (CDC) brings in up to forty percent on the other end. The borrower is usually responsible for coming up with the last ten percent often as a cash component serving as a down payment. The money from this type of Small Business Administration loan applies to things such as buying real estate (land and buildings), making real estate improvements, building, updating, or converting new or existing facilities, and purchasing equipment. In addition, the money is not applied for some of the purposes that 7(a) loan money is applicable toward. This includes the business’s working capital and debt refinancing. Though not as stringent as the requirements for a 7(a) loan, getting approved for a CDC/SBA 504 is also a tough process, with its own specific criteria. The company’s credit score is higher than 660. It has a tangible net worth under $15 million. The average net income is lower than $5 million. The company does not participate in the speculation on or investment in real estate. The owner must demonstrate that the financing cannot be obtained elsewhere. Borrowers must show projected operating cash flow that is sufficient enough to repay the loan at the time it is due. When a borrower is considering submitting an application for an Small Business Administration Export Loan, they must decide which type they wish to obtain. There are three different types of this kind of loan. SBA Export Express Loan: This loan provides for working capital to a small business, up to a maximum amount of $500,000. The money assists in funding any export activities undertaken by the company. In that regard, the loan is for just about anything, such as attending trade shows, purchasing new equipment, expanding facilities, producing promotional materials, or other advertising to support the operation of the business. You have seven years to pay the loan off. SBA Export Working Capital Loan: This type of Small Business Administration Export Loan provides up to $5 million in working capital that is used in filling a purchase order from an international customer. The money may also be used to purchase inventory, pay suppliers, and other vendors. Additionally, you may put it toward production expenses for any goods or services that your business is exporting. The good thing about this loan is that it gives your business the financial support to work with foreign customers. This allows you to provide them with advantageous terms and business arrangements. You have anywhere from 12 months to 3 years to pay the loan off. SBA International Trade Loan Program: This type of Small Business Administration Export Loan also provides up to $5 million in working capital for companies conducting an exporting business. It is also for those that have been negatively impacted by imports. The goal of this financing is to give small businesses a leg up in foreign markets, by offering financial support for exporting and other international business transactions. The money is put towards the purchase, renovation, or conversion of operating facilities and refinancing of debt. You have up to 25 years to pay the loan off. Determining eligibility for a Small Business Administration Export Loan follows similar criteria as the approval standards for a 7(a) loan. 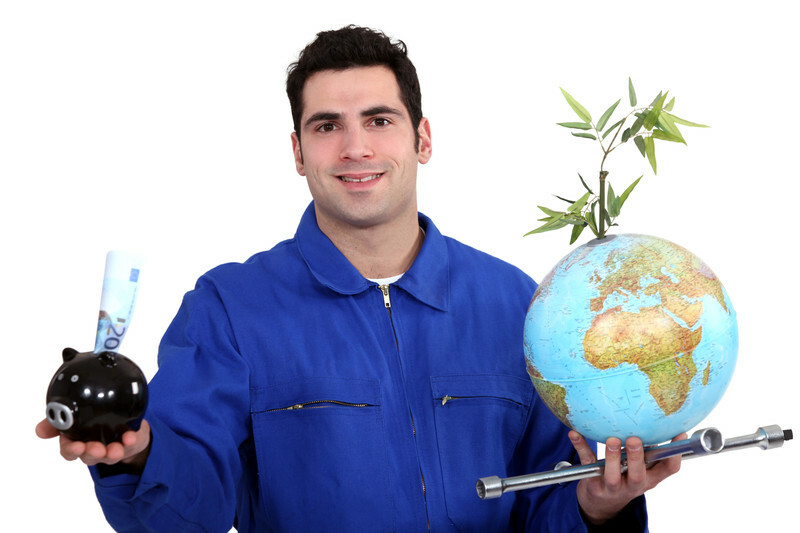 However, there are a few adjustments depending on which type of export loan you wish to obtain. In most cases, your credit score is over 660. You cannot have any bankruptcies, foreclosures, or tax liens on your record. In addition, you need to put a personal guarantee of at least twenty percent. There will be a collateral requirement. How much is up to you. The more you provide, the more likely you are of being approved for this particular loan. Each type of export loan also has extra requirements that are unique from one another. There are three types of loans. Express Loan: Any business applying for an Express Loan must demonstrate that it be active for at least one year in the exporting trade. That does not mean you need a full year of records for exporting products. However, proof of your experience in the field is necessary. Working Capital Loan: Applying for a Working Capital Loan is the easiest of the three different loan types. You must prove you need the money in order to expand the business for exporting purposes. SBA International Loan: The Small Business Administration’s International Loan requirement is the most stringent. With this loan, you must prove that your business has a realistic possibility of building the business overseas, in a bid to broaden your customer base, or that your small business has taken a financial hit in the marketplace from overseas imports. This loan will provide the necessary funding to give your business a chance to compete in the foreign markets. This gets confusing for some borrowers who incorrectly believe that the Small Business Administration is the issuer of these loans. That is not the case. There are also those folks who do not know why a bank loan is different from an Small Business Administration loan since the bank is the one lending the money. The money comes from a bank or other lender, such as a credit union or community development organization. However, it is the Small Business Association that provides the guarantee on the loan. In other words, when the bank lends out money to a small business owner, and they are unable to pay the loan back or default on the payments, the Small Business Administration will repay the loan. This assurance of loan repayment allows the banks to offer loans at lower rates and longer terms, and sometimes to business owners who would never qualify to borrow from that bank. Reducing the risk to lenders helps to lessen the rates and terms on borrowers. It opens up loan opportunities to businesses that really need some financial help, but lack down payments or collateral amounts to secure a typical bank loan. Not to mention that the rates on regular bank loans care exponentially higher and less affordable. Remember that with the Small Business Administration in charge, potential borrowers have to play by their rules. That means submitting to higher standards for approval criteria. It also means complying with Small Business Administration mandates that control how the money allocates once there is funding for the loan. The process is very grueling. The time that it takes to receive the money is longer than some business owners are willing, or able, to wait. We have covered some of the most common types of SBA loans, and how to qualify for getting your financing through these avenues. There are other types of SBA loans to research, in the event that these do not adequately fit the bill for your small business. When you find the perfect SBA loan to assist your company, get all your paperwork in order, before you begin to fill out an application. You have a wealth of options for getting an SBA loan from a lending organization that is a member of the SBA program. They all offer competitive rates. The best way to find out which ones the agency approves through the SBA website. There is a list of all the things you required to present at the time you submit your application. You should also get in touch with your local SBA District office for the names of approved lenders in the area. Applying for an SBA loan is through the SBA or directly with the banking institution. It helps if you select a lender with extensive experience in providing SBA loans to their clientele. They will know which questions and information to ask you so the process is as quick and clean as possible.